Asbestos is a heat-resistant fibrous silicate mineral that can be woven into fabrics and used in fire-resistant or insulating materials. Asbestos removal should only be done by certified professionals. A certified professional can ensure your home isn’t contaminated with Asbestos dust. Most commonly used for its heat resistant properties, Asbestos is made up of a family of six fibrous silicate minerals. It has historically been used in fabrics, fire-resistant products and insulation. If Asbestos is inhaled over a prolonged period of time, one can develop serious illnesses like Cancer, Mesothelioma and Asbestosis. Never attempt to deal with Asbestos on your own. Asbestos poses a serious health risk that increases significantly when it is moved our touched. Eco-Environmental uses state of the art technology and professional techniques that ensure proper Asbestos abatement. 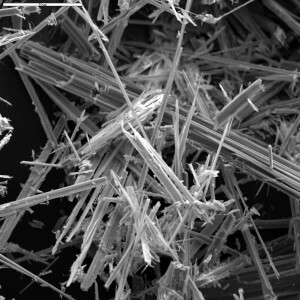 Asbestos is still in use today, despite being banned in many countries. Throughout the 1950s and up until the end of the 1980s, it was an especially popular building compound. As a result, it is still common for Asbestos to be found in commercial and residential buildings in Canada. If you think you have an Asbestos concern, call us today! Once we’ve completed our initial inspection, we’ll provide you with a free Asbestos Removal quote!